Another school year at Victoria West Elementary has come to a close in spectacular fashion. As part of a fun-filled final week of school, the Parent Advisory Council hosted its annual year end party, complete with live music, dunk tank, Highlanders soccer, face painting, BBQ, and a cake walk. It was wonderful to see so many school families enjoying the celebration, and to have the help of so many parent volunteers to help make it possible. Thank you for your gift of time and talent! We treasure your involvement in our school community and we appreciate your partnership in helping Vic West Elementary remain a wonderful place to learn and grow! 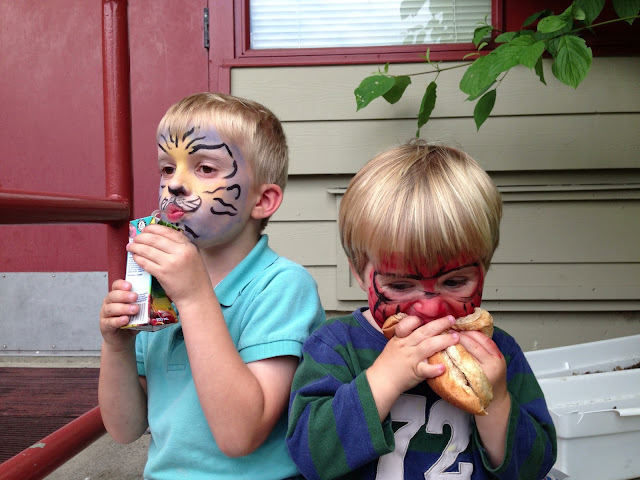 Painted faces add a touch of magic to the day. 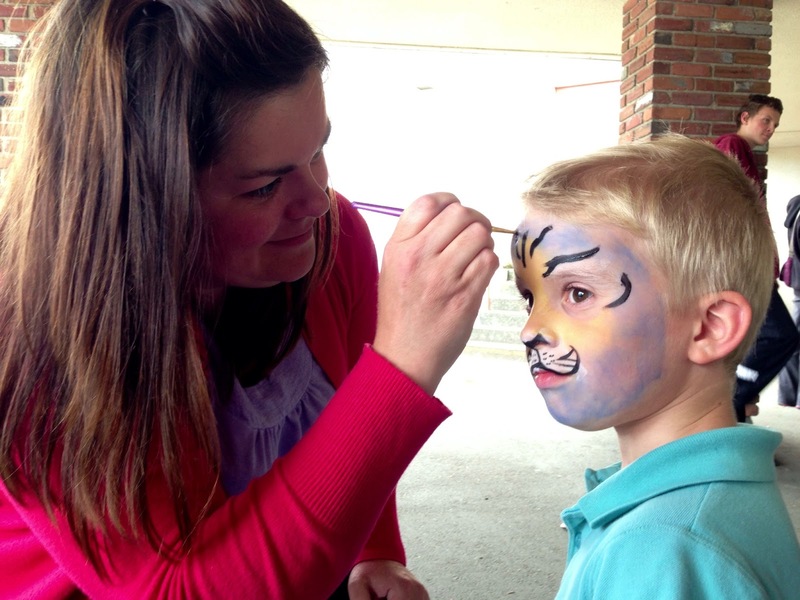 Vic West Community Centre manager, Kate Longpre, shares her time and talent painting faces. Volunteers busily setting up for the BBQ. Happy munchers at the BBQ. 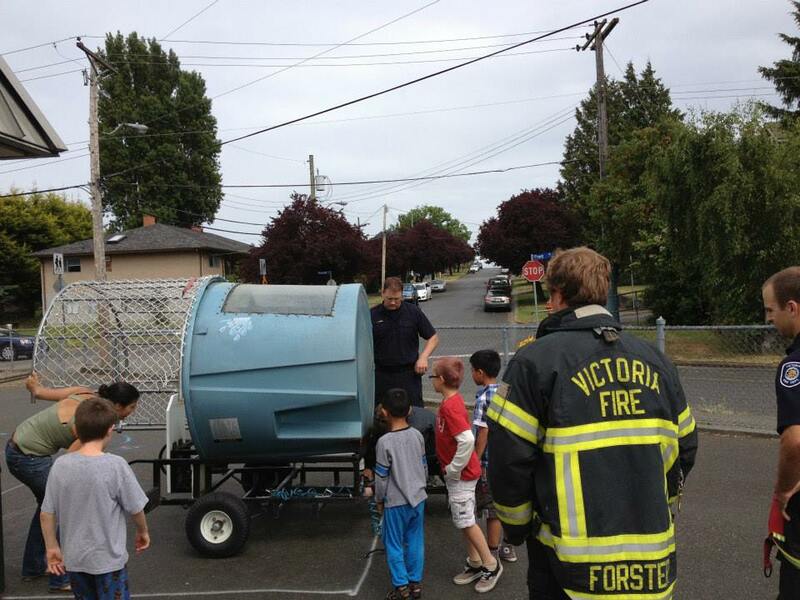 Dunk tank setup with the help of the Victoria Fire Department. 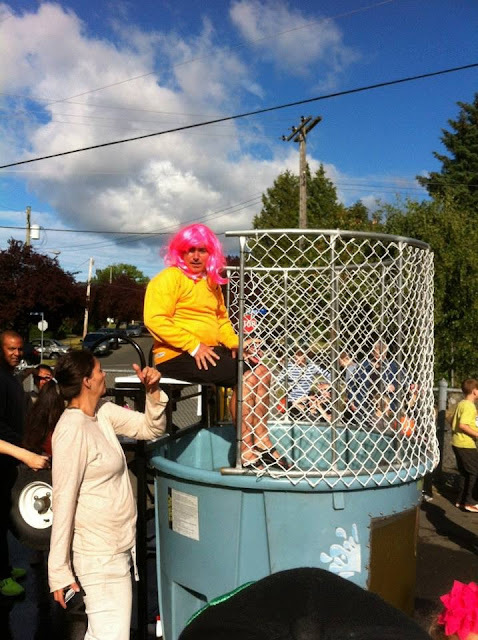 Principal Joe Cardle getting ready for a dip in the dunk tank! Announcing the winners of the Monk Office raffle for a Samsung Galaxy Tab 2 and a $100 Monk Office gift card. The raffle brought in $463 for our PAC! 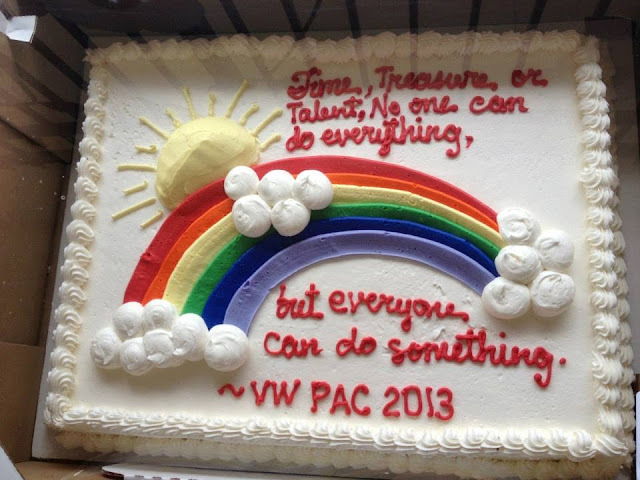 Rainbow cake with PAC motto. 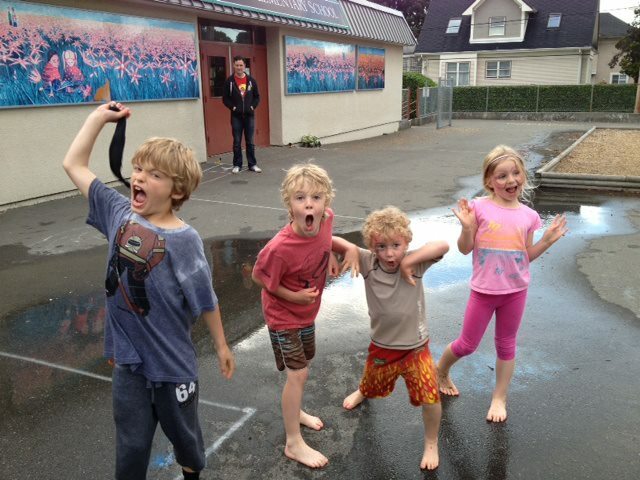 Excited kids who don't want to go home yet. 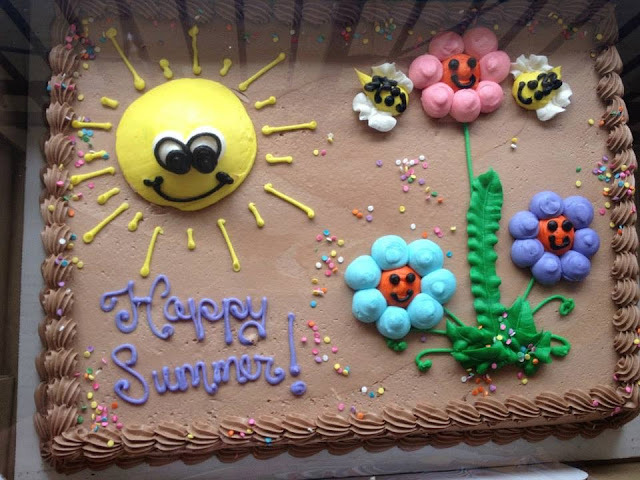 Enjoy a happy, safe and fun-filled summer! See you in September! Please contact PAC President, Mercedes Calvert at vicwestpac@gmail.com with any questions or if you cannot keep your commitment. Thanks for your support! We're looking forward to the special day. 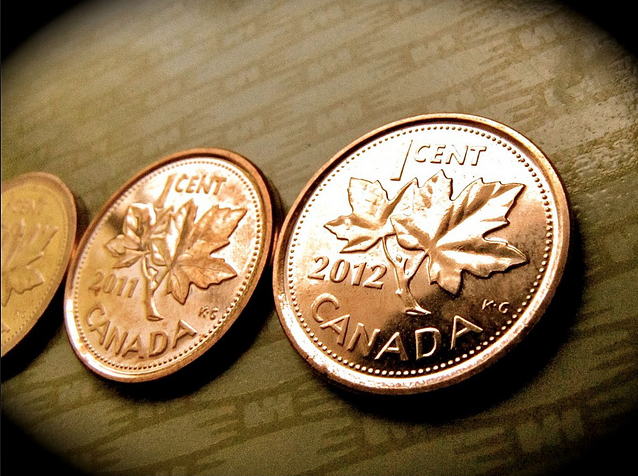 The pennies have been counted! 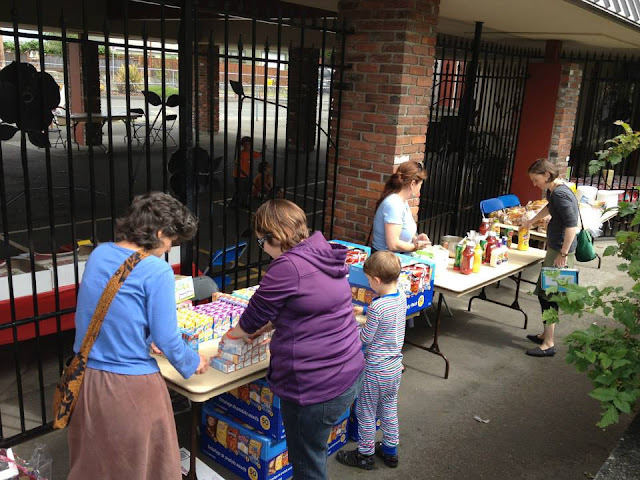 At our annual garage sale, we collected over $94 in pennies. Those pennies have been bought by local photographer/artist Keri Coles (www.kericoles.com), who will be creating an art piece with the pennies. 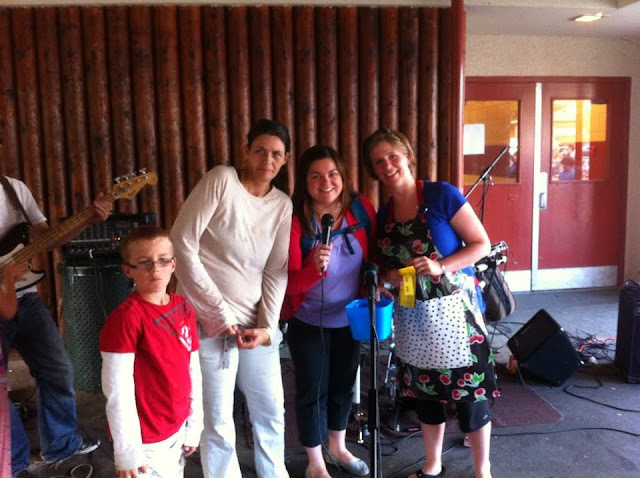 Keri topped up the donation to $100, and a cheque will be mailed off to the MS Society this week. Thank you to everyone who donated to this worthy cause! Today parents put together a small token of our gratitude for all of the time, energy and passion that our staff put into educating our children. 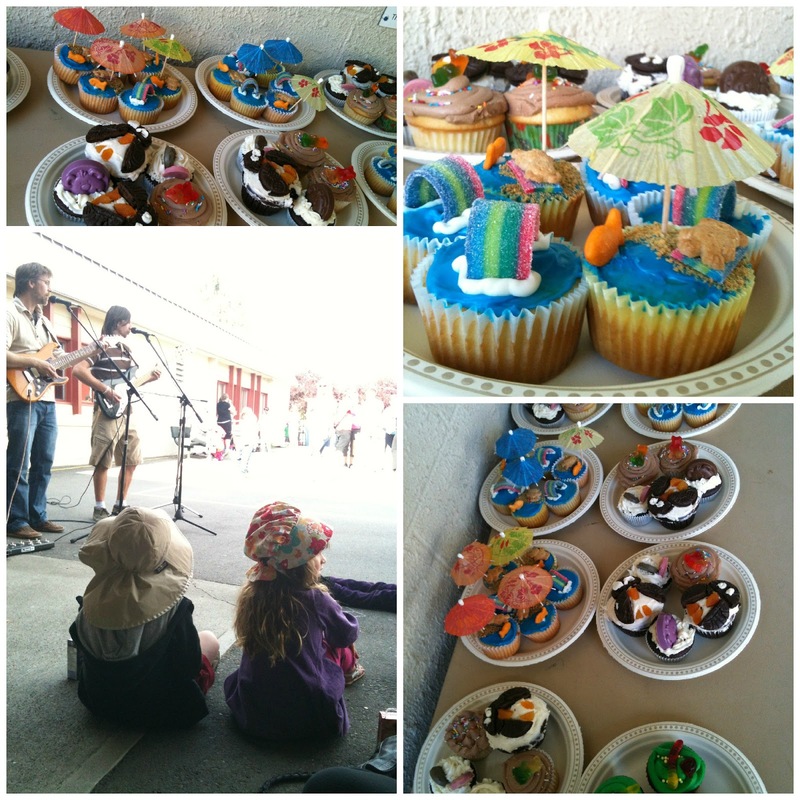 Thank you to all of the parents who brought in goodies for the lunch. As you can see, everyone was really happy to have a delicious meal to tuck into today! and building sentences with magnet words and letters. writing their messages and thoughts inside to be mailed or given by hand. Thanks for sharing, Ms. Solecki! 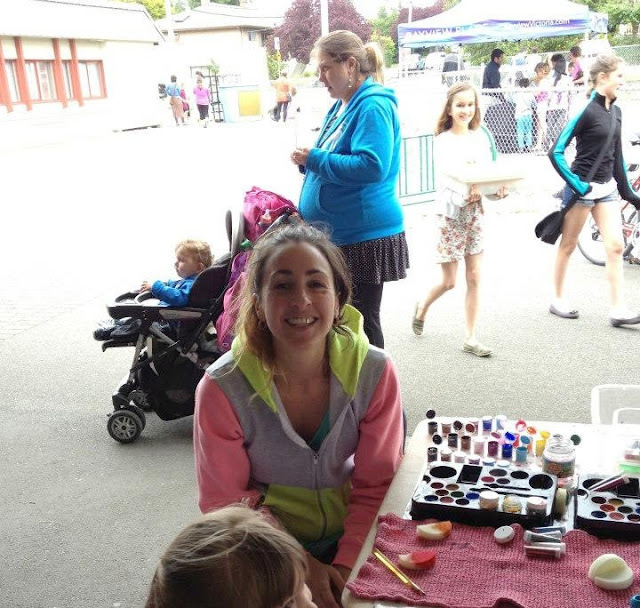 Organization of Vic West involvement in Thrifty Foods Kids Run (1.5 km) - school promotion in the community, health, fun! 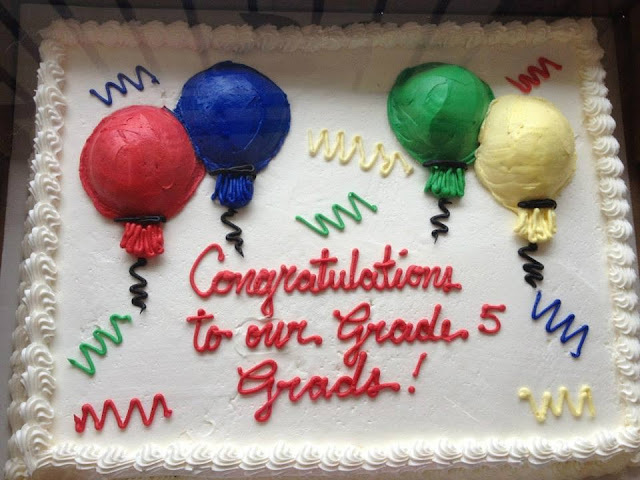 Thank you to all parents and caregivers who assisted in achieving these goals. Without each of you, none of this would happen.